It feels good to come back home having neat trimmed grass laying on your home compound. Averagely every year, approximately 7 million mowers are purchased. Most people have major headaches when deciding which lawn mower to buy. The reason for this is because buying a lawn mower is not cheap. The price point is somewhere between $300 and $800. Riding mowers will cost thousands of dollars. With so many brand and model in the market, it can be quite difficult to decide on which lawn mower to get. Luckily for you, we have crafted this lawn mower buying guide to help you with your buying decision. Imagine this, your home compound becomes grassy and messy. You have 2 choice, hire someone to do it for you or mow the compound yourself. Now if you decide to hire someone, it may cost between $15-$20 depending on the size of your compound. Considering the long summer ahead, you may need to hire once or twice per month. Expensive right? Or you can choose to invest in a lawn mower. Lawn Mowers can help you cut grass surface to an even height. Now, this question is very subjective depending on what type of lawn mower you are getting. In general, there are 5 types of lawn mowers. I will explain what the difference is and also how each one operates. This is the first type of lawn mower ever invented. Although it is not the most easiest to use due to it having limited applications and not providing extreme precision, it still makes up the majority of the sales for domestic users. This kind of lawn mower is cost effective and value for money. However it requires some hard work and experience to get your grass trimmed nicely. If you are not willing to spend a large sum of your money and also not expecting any perfection when trimming your compound, then you can consider to get this one. The main difference between this lawn mower and the walk behind mower is how they are powered. The walk behind mower is powered by your energy and sweat whereas the self propelled lawn mower is powered by technology. With easy to use controls and a transmission that will help power the wheels, it will be so much easier to mow. It is important to note that self propelled lawn mowers are available in single and variable speed modes. They can also be front drive, rear or even all wheel drive. Just a brief explanation on what their differences are, the front wheel drive are ideal of flat lawns as they are easier to operate. Rear wheel drive have better traction. 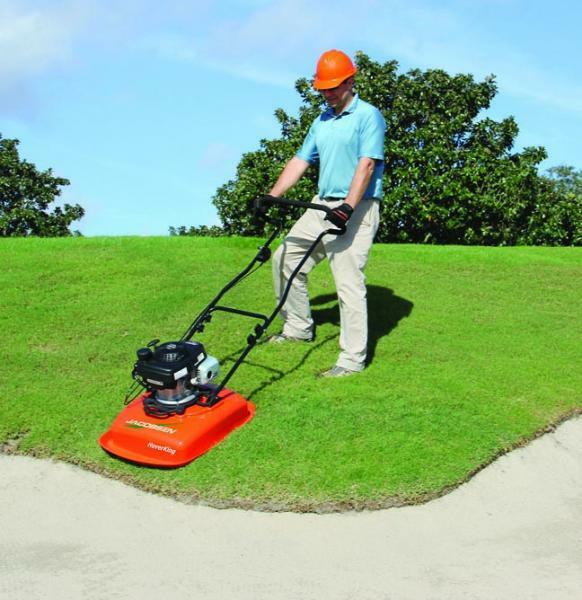 This means that it is best used for mowing across slopes is an up and down pattern. In general, the self propelled lawn mower will save you both time and energy. The speed models are designed in a way that is suitable for most people and cutting campaign. Obviously it cost more that the walk behind mower, but hey, you pay for what you get. Check out our article on the Best Self Propelled Lawn Mower to help you with your decision. This lawn mower are for those who as a medium to large size compound. As you all know, with such a compound, it can be quite difficult to cover all areas with maximum efficiency with an ordinary lawn mower. Asking someone to push a mower around your uneven compound can be a very tedious job, physically demanding and expensive if you decide to hire a lawn mower agency to do it all for you. I will suggest to get a ride on mower as it will require lesser energy and your compound will look neater in no time. They can be operated by a manual, automatic or hydrostatic transmission. However, this kind of lawn mowers usually cost thousands of dollars. Is it worth your money? You can do the math yourself. For me, personally, definitely a worthy investment. The name itself is self explanatory. Unlike a traditional lawn mower that run on wheels, the hover mower creates a cushion of air between the lawnmower and the grass. This allows the user to move in any direction making them much more easier to control. I will personally recommend this kind of mower to those who has irregular shaped lawns. Since it floats on a cushion of air and easy to maneuverer around, this will greatly help reduce the time needed for you to cut the grass. Another reason to get this kind of lawn mower is its ability to hover across slopes much easier compared to wheel mowers. Last advantage is the ease of using it straight away. Unlike other lawn mowers that requires you to setup, once you get the hover mower shipped to your home, it will be ready to use straight away. However, one thing to consider before getting this hover mower is its weight. Some people especially the older generation may find it too heavy to swing around side to side. Because of that reason, they may prefer the wheel type. Our world technology has improve so much that you can now buy a robot to help you mow your lawn. How this kind of mower works is it cuts the grass little and often in a irregular pattern. If it finds any obstacles in its way, it will stop, turn and cut the grass in another direction. It also helps in lawn mulching. Advantages of this kind of lawn mower is easy installation, environment friendly since it runs on battery and it mows quietly so no noise pollution. Oh, and they also have rain sensors that will send back the unit to recharge once it starts to rain. All in all, if you have the money to splurge, then get this kind of mower as it will save your time. Consider this purchase like hiring an efficient lawn mower. All you have to do is to set some programs for it to follow and they are good to go. Majority of the lawn mowers are either powered by gas or electric. The electric mowers are environment friendly as they do not create green house gas emissions. Electric lawn mowers will be more expensive to buy initially but in the long run, they will be cheaper than their counterpart (gas lawn mower) because of additional costs that will slowly stack up like purchasing gasoline, oil and fuel fitters. The disadvantage of the electric lawn mower is that it requires charging after one hour. This will be troublesome if you have a large lawn to mow. If you buy the corded models, they have a limited range and hence becomes impractical too to mow a large lawn. 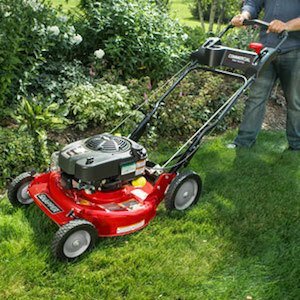 Gas mowers on the other hand are known to be reliable and have a cheap price initially. They are always the go to options for most families that has a small or large yard. Understanding the differences between electric and gas lawn mowers able to help you to determine which is the preferred type you should go for. As the demand for lawn mowers increases, more brands are coming out with their own unique models. There are a few good brands in the market listed below. Founded in 1689, this company were first involve in doing sewing machine, kitchen equipments and motorcycle production. It was during 1918 when they start to add in lawn mowers. Their lawn mowers are manufactured in the United States, owning multiple factories in Orangeburg, South Carolina and Georgia. Up till now, they manufacture all kinds of lawn mowers, and are quite solid at what they are doing. 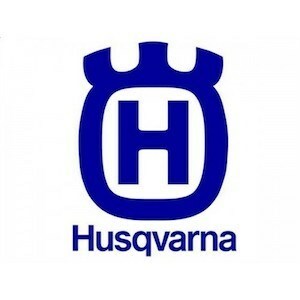 You can read our Husqvarna Self Propelled Reviews or if you are interested in riding mowers, you can find our Husqvarna Lawn Tractor Reviews. They even got the old time but reliable Push Type. Among all the models, I suggest you to check the Husqvarna MZ61 out. The Troy Bilt Family started back in 1937, and was praised for its very first rototiller which was considered a remarkable innovation that time. From there, their reputation grew and they were known for their products quality and durability. Today the troy bilt offers a wide variety of lawn mower choices like the Troy Bilt TB 220 and the Troy Bilt 370. They also have a selection of riding mowers to choose from. We have got that covered in our Troy Bilt Riding Reviews. This brand is quite new and they believe in using renewable energy and takes pride in their innovation. Their global HQ is located in Changzou, China. You can find our Greenworks reviews here. This brand falls under the MTD family group and was founded in 1930. They believe their products are of top notch quality and innovative. To find out more on their lawn mowers, read our Yard Machine reviews. Electric vs Gas Lawn Mowers: Which Is Better? Troy Bilt TB 220 Lawn Mower Reviews – Is It As Good As People Say?